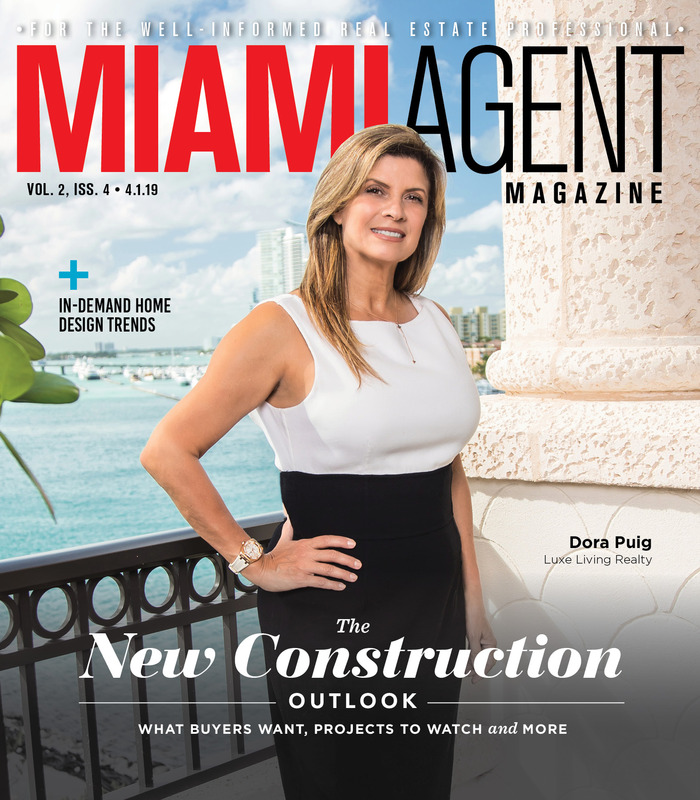 The Miami market has undergone some radical changes in recent years; how can you stay ahead of the curve and achieve top producer status? Few real estate markets have evolved as much as Miami’s in recent years. The area’s growing international presence has made quite an impact on the market and the tactics agents must adopt in order to attain success. Competition is fierce not only for the attention of American clients; now agents are tasked with figuring out how to cater to clients from a wide range of countries around the world. 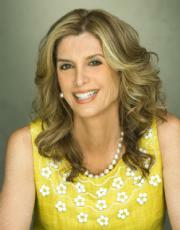 It takes a particularly savvy and driven agent to become a top producer in the “fast lane” that is Miami. Want to know the recipe for success as an agent? It is as flavorful and unique as the city’s culture. Coldwell Banker agents Jill Hertzberg and Jill Eber – known among clients as “the Jills” – employ a staff of translators who speak a full repertoire of languages that includes Spanish, Russian, French, Italian, Hungarian and Chinese. Over the course of their 20 year partnership, the Jills recognized that international clients were becoming a force to be reckoned with in the Miami market, going above and beyond to accommodate their needs and make them as comfortable as possible. A combination of strategies including smart marketing and savvy branding played a key role in the Jills closing the most expensive single-family home, 3 Indian Creek, sold to date in Dade County this year for $47 million. “We utilized all forms of media, from local print media to digital media, because our job was to expose the property to the largest possible audience, and that was what ultimately brought us the buyer,” Eber says, who is also a member of the Master Brokers Forum. The pair is currently the listing agents for an even more impressive property, Casa Casuarina, the former Versace mansion. It was the Jills’ brand and reputation that compelled the owner of Casa Casuarina to solicit their services. “When I asked the owner why he called us, his response was, ‘who else would I trust to handle this listing?’” Eber says. Casa Casuarina’s owner may have approached the Jills, but of course, that is an ideal scenario. Typically, when the partners need to make presentations to prospects, they focus on the needs of the seller and outline marketing strategies. They also include information about their company and partnership. Ongoing marketing efforts also play an integral role in the Jills’ business. In order to ensure they are up to speed on the technical end, they employ a website specialist as well as a marketing company that handles their SEO and social media presence. These strategies help to ensure that their website is prominent on all search engines. They also carry iPads to maintain a mobility that offers their clients the highest level of immediate service and convenience. Josie Wang’s heritage has helped her communicate well with some international clients, but the Avatar Real Estate Services agent and Master Brokers Forum member has much more than natural aptitude to offer. “I do a lot of international business because people check credibility and records via the Internet. They want a strong agent. My reputation precedes me, due in part to referrals. I do not even need to place ads anymore because the majority of my clientele consists of repeat business and referrals,” she says. This reputation for excellence has paid off. Wang, who has been in business for 25 years, averages a minimum of $17 million in total sales volume per year. 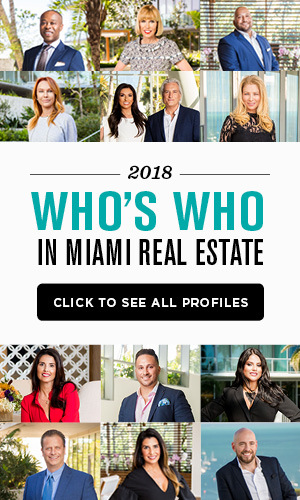 International clients are such a dominant part of the Miami real estate industry, the Jills and Wang consider networking on an international level just as important as networking within the United States. All three agents cite a thorough knowledge of your market as being imperative to ongoing success. “I always believe in keeping up with the market b/c this is an evolving industry. Knowledge truly is power; you need to always be aware of the current market conditions. Constant learning is a crucial part of my success for all areas of my business,” Wang says. Without market awareness, agents’ negotiation efforts with both clients and other agents can fall flat. 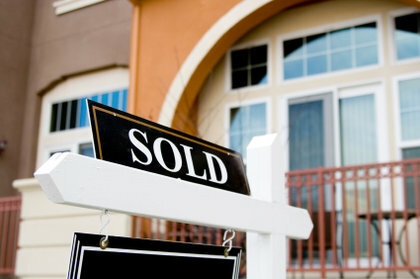 Applying market expertise first comes into play when pricing properties. “Since parting with a home can be emotional for some sellers, they feel the price should be higher than the home is worth, realistically speaking. Possessing a thorough knowledge of the market can help enlighten them in regard to why the price should be lower,” Wang says. During negotiations, familiarity with current news about factors like economics and laws can make or break a sale. “In addition to being intimately acquainted with the home and market, it is equally important to be up to speed on what is happening in the world today. For example, the capital gain increase affected a number of our clients and helped close some sales in 2012. You would be surprised; in many cases, clients do not understand that recent events can affect their buying/selling power,” Hertzberg says. Customizing marketing strategies to each property has proven successful for the Jills as well. For some listings the partners spread the word via a combination of print media outreach and direct mail. However, certain listings call for a more elevated approach. The Jills launched a full scale public relations campaign via their team to announce the Casa Casuarina to the media. Their public relations people blasted the pitch on a global level, placing nearly 300 stories worldwide in 48 hours. Above and beyond all else, the agents cite exceptional customer service as the number one reason for their phenomenal success. “In order to service your clients well you must be willing to make sacrifices, like balancing a jam-packed schedule or going with the flow even in cases where the situation is chaotic. It is all worth it to me because I truly love people. In this business, you need to have a heart for people,” Wang says. That fierce work ethic is what has fueled the Jills’ success. The two first worked together as agents at the same company, sharing an assistant, and formed a partnership when they realized how well they worked as a team. “We had immediate chemistry and our partnership evolved from there. We consciously pass on our work ethic, knowledge and skills to our staff. We have an eye for language and specific skills that would benefit our customers, our staff is trained through the company and we hold regular meetings. We want to make sure that anyone who is on our team understands our objectives and the service to our client base,” Eber says. Great Article,Thank you to the Jills and Josie for Sharing!!!!!!! !